It’s no secret that U.S home prices have rebounded from their recession lows, to the extent that some people are wondering if we’re in a new real estate bubble. However, some housing markets are more competitive than others. 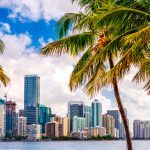 FindHome.com has come up with its own list of the most competitive housing markets — which it defines as a market appealing to both buyers and sellers, that has grown substantially over the past year and that is excpected to continue that growth in the year ahead, placing Miami – Fort Lauderdale – Miami Beach Metro, Florida in first place of the list along with areas like San Franciso, Fresno and Riverside in California. The site also analyzed data regarding one-year price growth forecasts, price growth over the past year, median sales prices and average days on the market. 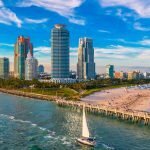 A strong economy, coupled with an influx of overseas buyers, has given the region the title of the nation’s most competitive housing market. 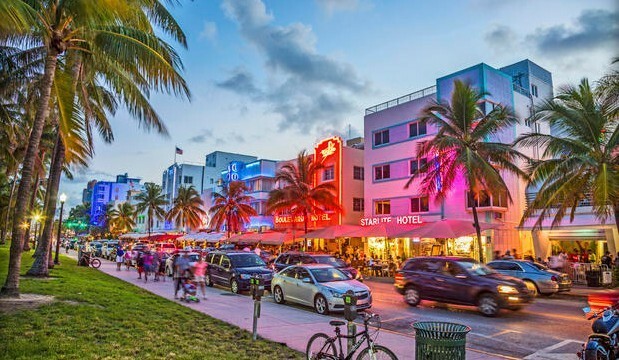 “Not only are we seeing more single family home sales in Miami, but we are seeing more homes and condos listed as sellers confidence grows”, said Christopher Zoller, the residential president of Miami Association of Realtors. Taken from: Kennedy, Bruce. 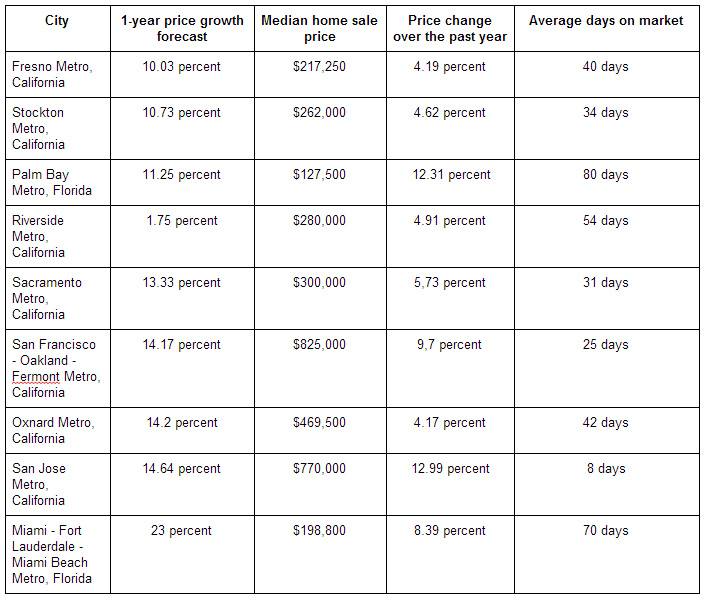 “The 9 Hottest Housing Markets in the U.S.” CBSNews. CBS Interactive, 12 May 2015. Web. 20 July 2015.